Lt. 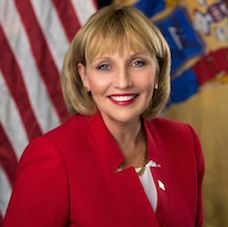 Governor Guadagno has been a practicing lawyer for 32 years. She began her public service career as a federal prosecutor with the Organized Crime & Racketeering Strike Force in Brooklyn, New York. And later became an Assistant United States Attorney and an Assistant Attorney General in New Jersey. After, she taught legal research and writing for 8 years at Rutgers School of Law Newark. In 2005, she was elected as a commissioner in her home town of Monmouth Beach In 2007, she was elected 75th Sheriff of Monmouth County. In 2009, Republican gubernatorial nominee Chris Christie made her his choice as the 1st NJ Lt. Governor. Gov. Christie announced that as Lt. Governor, Guadagno would also serve as NJ’s Secretary of State along with overseeing economic development and focusing on business retention and expansion. She is now serving her 2nd term. 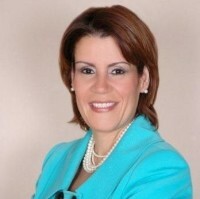 Wilda Diaz was re-elected as Mayor of the City of Perth Amboy for a second [four-year] term in November 2012. She was first sworn-in on July 1, 2008, becoming the first female to hold that office and currently the only elected Latina mayor in the State of New Jersey. Since her election in 2008, Mayor Diaz has been at the forefront of issues such as expanding programs for our children, youth and families with the use of limited resources, creating an open and honest government, business expansion, job creation and preserving and restoring the City’s history. This includes her efforts placed towards two of the City’s most utilized historic structures, the Perth Amboy Free Public Library, with nearly $2 million in capital improvements and the redesign plans and preservation of the Perth Amboy Train Station. Furthermore, as a recovery effort from the damage of Supertstorm Sandy over $17 million for renovations and storm mitigation were invested to repair the length of the Perth Amboy waterfront that was completed this year. 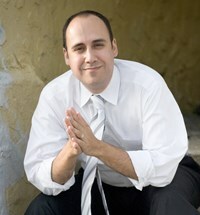 Louis A Zayas has been practice law since 1993 or 23 years. 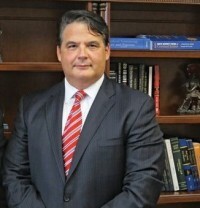 He graduated from the University of Virginia School of Law in 1993. Upon graduation, he worked as an assistant district attorney in Bronx County District Attorney’s Office where he tried jury trial from DWI to Homicide. In 1996, he opened his law firm in Manhattan focusing on civil rights, employment discrimination, and criminal defense. He represented a wide range of individuals and companies, including chief of police, corporate executives and school principles in employment cases. He has more than 50 jury trials and numerous appearances before federal and state court of appeals, including the New Jersey Supreme Court where he help establish a new protections against retaliation by employers against their former employees. At the age of 19, Leo Cervantes began pursuing the American dream, when he emigrated from Mexico City, moved to Bradley Beach, NJ, learned to speak fluent English, and started his own businesses. Now, the chef, owner of Chilangos Mexican Restaurant in Highlands, and Chilangos La Playa in Keansburg, creator of Naked Tamales, and manager of the musical group of JannyMarco, tells his story about what it’s like to be unstoppable in his book, “Chilangos in the House: The True Story of a MexiCan.” Leo, 46, is also the father of three children. He lives in New Jersey. 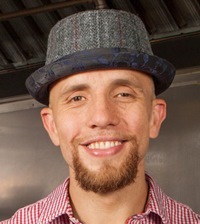 Ronaldo Linares is a Cuban/Colombian/American, salsa-dancing, MMA-fighting, Cross Fit training, former US Marine, classically trained chef and restaurateur living his dream. Passion infuses everything Ronaldo does – as CEO of Ronaldo’s Cocina and Executive Chef of Martino’s Cuban in Somerville, NJ – and as the author of Sabores de Cuba: Diabetes-Friendly Traditional and Nueva Cubano Cuisine. Born in Colombia during the turbulent Cartel wars of the 1980s, cooking has been the main ingredient in Ronaldo’s journey from young immigrant to rebellious teen to successful chef and media personality. Ronaldo’s recipes are naturally healthy and flavorful. While in training for NAGA he only cuts out refined carbohydrates (and his beloved arepas) and feasts on the nutrient dense, protein rich deliciousness of his signature Ropa Vieja, Adobo-Rubbed Flank Steak, Pernil and Sancocho. Jimena Florez is a young entrepreneur involved in the agribusiness and food industry, and the founder of Chaak. She started her business with the mission of increasing Colombian farmers’ quality of living and fighting to improve food safety and diminishing famine. In particular she started working by transferring knowledge and technology to develop sustainable agriculture practices and high quality products to meet global standards demand and gain fair trade prices for the farmers. In addition, Jimena evolved her company in the food industry together with the health industry to generate a bigger and global impact on people’s health. Through research, design, and development of healthy, functional, and innovative products she developed a line of cakes made with the 5 food groups necessary to nourish the body . As a result Chaak is developing new products with natural ingredients scientifically proven to enhance people’s health. Jovannie Lorenzo is the Development & Marketing Manager at the Boys & Girls Club of Paterson and Passaic where she applies her fundraising expertise to ensure that Club Kids have the resources they need by coordinating fundraising and community events as well as School Supply Drives, Holiday Toy Drives and Literacy Events. Beginning in 2004 with the US Army National Guard, Jovannie rose from contributing as a volunteer to Event Coordinator at the local armory to serving as the President of the Family Readiness Group. Knowing that she wanted to continue with this legacy of service, Ms. Lorenzo continued to be a powerful advocate for those in need in her community by joining the Women’s Rights Information Center in 2010. As the Housing Coordinator, she worked tirelessly with Men, Women and single parents who were on the brink of homelessness and helped them find safe and secure shelter. She assisted clients with critical issues arising from or contributing to housing constraints such as obtaining skills training and finding suitable employment. This program prompted Jovannie to go a step further and create the “Welcome Home Project” providing basic household items to clients that secured housing. She also served as the centers Events and Special Projects Coordinator, coordinating food drives, coat collections and baby bundle events for new and expectant mothers. Jovannie served the client as a whole ensuring that every need was met. Rick Martinez is a NJ native. Early part of his childhood was spent in West New York. He went to high school in Cliffside Park and ended up going to Rutgers University in Newark. His parents are Cuban and he is the first in his family to be born in the US. Even though he majored in accounting when at Rutgers, his career started in about 1995 with the internet boom. He taught himself to program and over time developed the skills to be able to take idea/concepts and convert that into a software product. 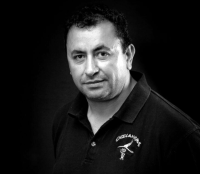 In 2006 he started Señor Sangria which brought him into a beverage industry, an industry he knew nothing about. Similar to his prior career, he sat down, studied the business, and hasn’t looked back. Myriam brings far more than 14 years of experience in Business Lending. She brings a vitality, professionalism and warmth, and a mindset of service and advocacy to her work with Financial Resources FCU’s Business Members. Myriam’s primary focus is to build awareness about FRFCU’s unique capabilities among prospective members, and develop and maintain relationships with current and past members. As an advocate of the Credit Union’s vision to enrich the spirit and performance of organizations, and its purpose to positively impact business owners by creating thriving organizational cultures and providing financing to achieve their financial growth. Myriam’s finds her work rewarding and fulfilling. Prior to joining FRFCU, Myriam worked at Columbia Bank and Chase Bank as a Business Relationship Manager helping small and mid size business providing with business lending solutions that best meet business financing needs. Myriam graduated from Salesian Polytechnic University where she studied Business Management in Human Resources and Marketing.